T.V.S. Film Productions, Anthony Buckley Films Pty. Ltd / Network Ten. 1989. 45 (ST) CBS. 655249 7. 1989. 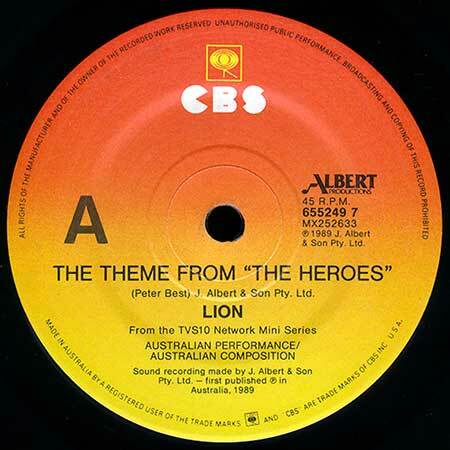 Side a: "The Theme From "The Heroes"". (Peter Best). (J. Albert & Son Pty. Ltd). Lion. Side b: "Riptide". (Peter Best). (J. Albert & Son Pty. Ltd). Lion. CD (ST) Silva Screen (UK). D 30819 (FILMCD 112). 1991. 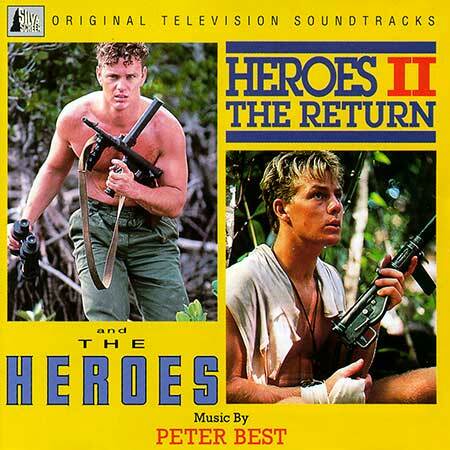 "HEROES II THE RETURN AND THE HEROES". Music Composed, Arranged, Performed and Produced by Peter Best. All songs controlled in Australia and New Zealand by AMCOS Local. "The Heroes" recorded at Albert's Digital. Recording and mixing Engineer: David Hemming. "Heroes II: The Return" recorded at Vaucluse Digital. Mixing Engineer: Richard Lush. Executive Producer for Silva Screen Records Ltd: Reynold da Silva. Album sequencing: James Fitzpatrick. Sequenced and mastered at The Hit Factory Studios (London). Engineer: Steve Shin. Album release supervision: David Stoner. The Heroes (Main Title Theme). (3:00). Townsville Raid/Not You, Bill. (4:13). He Worries Me/Boarding In One Hour/Canoe Race. (5:11). (Featuring Horrie Dargie on Harmonica). Let's Get Out/Watchtower/The Dinghy's Back. (4:24).